English professor Joseph Kelly writes an op-ed in The Post and Courier. 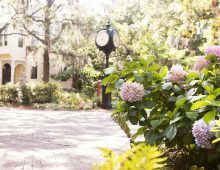 Charleston CEO reports on James D. Melville Jr. being named as the new associate dean for international and community outreach in the School of Languages, Cultures, and World Affairs. CNN mentions the College’s Lowcountry Digital History Initiative in a story about monuments. The Post and Courier reports on an after-school program. Communication professor Ryan M Milner writes about ethics in a story for Vice News. Art historian Marian Mazzone is quoted by Wired in a story about art.